Banners and garlands are my favorite way to dress up a mantel for the holidays! This year I decided to deck out my mantel by creating a garland made of Santa hats! Flip that hat upside down and hot glue it to a strand of ribbon. 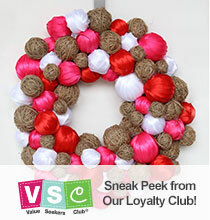 Glue a row of hats together to make the most festive banner… and you’ll be able to use it for years to come. This is perfect for decorating your classroom for the holidays or to welcome Santa down the chimney! Santa Hats – I used 6, but you can use more if you’d like! Measure and cut your ribbon to the length of your mantel or suited space. Leave 2-in. of ribbon on either end for hanging. 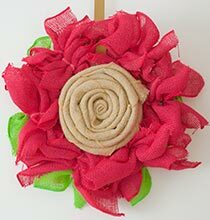 Apply a strand of hot glue across a portion of the ribbon and place an upside-down Santa hat directly to the glued ribbon. Press firmly until set. 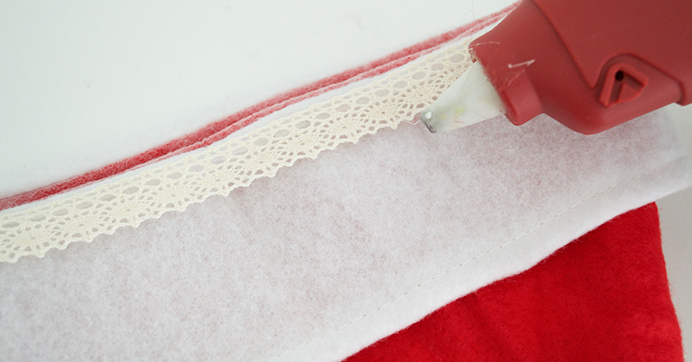 Continue applying the hats to the ribbon until a garland of Santa hats is formed. 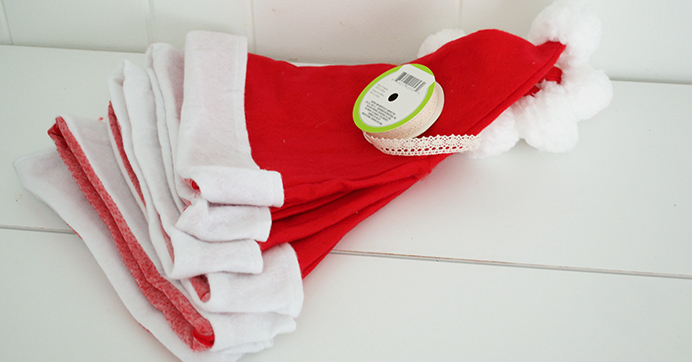 Once dry, use Command® Hooks and hang your Santa hat banner for all to enjoy! *Fun Tip: Add a die-cut letter to each hat to spell out something festive like “Ho, Ho, Ho” – Such an easy way to create a banner with a saying! 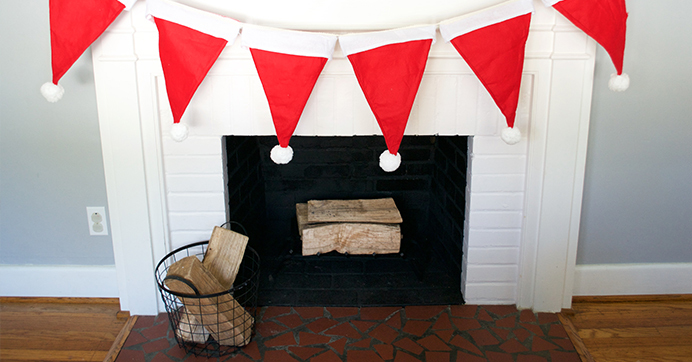 Looking for even more ways to incorporate Santa hats into your décor? 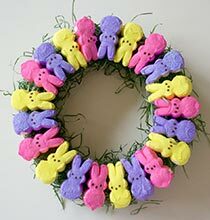 Check out this Ho-Ho-Holiday Wreath for Christmas!